Travelers and beach-lovers all over the word visit Anna Maria Island for its spectacular beaches and laid back friendly “Old Florida” charm. The gorgeous soft white sands of the island beckon you to days of relaxing in the sun with your family and watching the waves with an umbrella and drink, swimming in clear Gulf waters, shell hunting, walking or biking along the shore, sandcastle building and so much more. 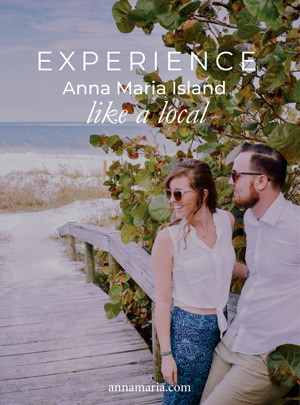 Booking one of our exclusive Anna Maria beach vacation homes is surely one of the best ways to experience the beaches here. They each have their own private beach access while also being close to the amazing public beach parks on the island. The café is a major convenience so that your family can always stay hydrated and full without having to leave the beach. You can rent beach chairs, umbrellas and cabanas here, so don’t worry about bringing them with you. It’s located right on a trolley stop and in a central location on the island, so you should be able to easily reach it from most Anna Maria Island beachfront rentals. Coquina Beach has similar amenities as Manatee Public Beach while being a good alternative that can sometimes be less crowded. It offers some spectacular scenery with views of the gulf and tall pine trees lining the beach, along with a popular bike path. 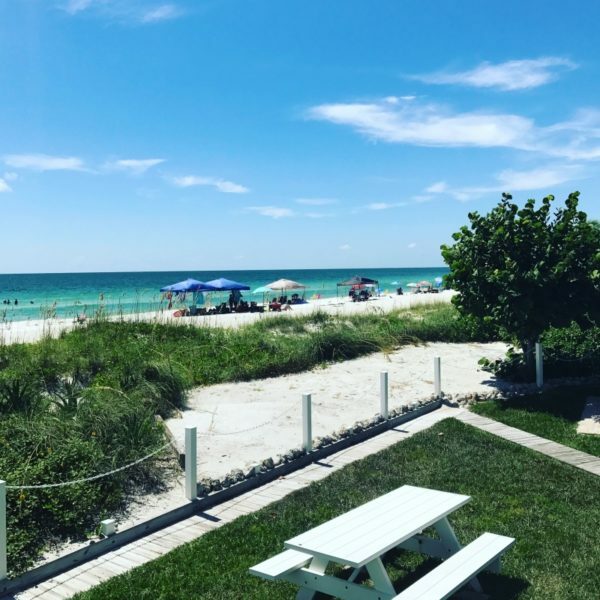 The beach park is also conveniently located on a trolley stop, so even if your Anna Maria Island vacation rental isn’t nearby you’ll still be able to get to it easily. 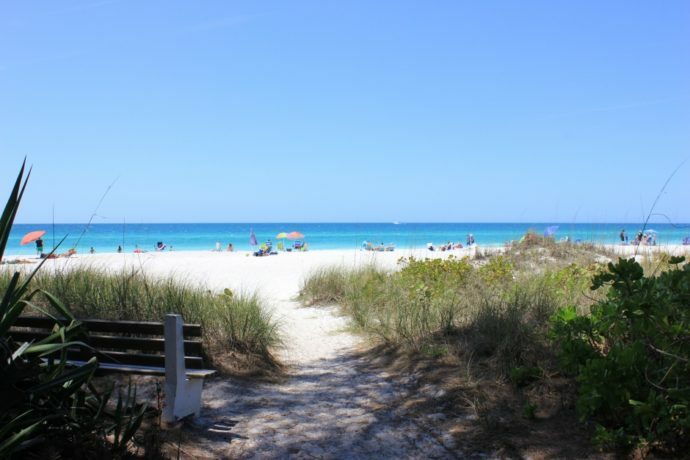 Your family will stay cool and safe at Coquina Beach swimming in the clear blue water with experienced lifeguards nearby, or lounging in the shaded pavilion area under the pine trees. Bayfront Park in Anna Maria is another top location for a beach family picnic, but note that it does not have the lifeguard services that the other two beaches offer. 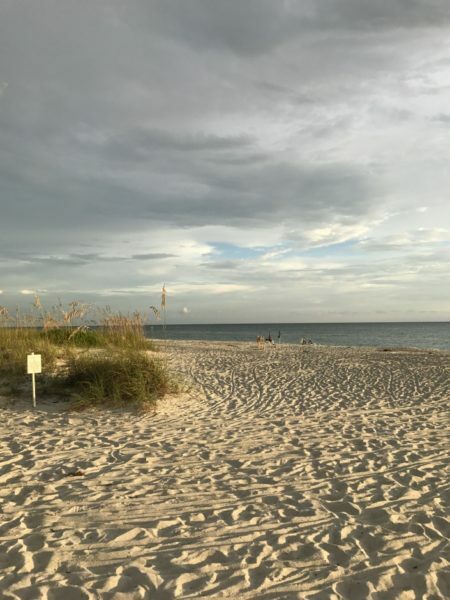 Several of our beachfront Anna Maria vacation rentals are close to this beach park, and the free trolley also stops at the City Pier right next to the park. Bayfront Park offers some of the best views of the Sunshine Skyway Bridge and Egmont Key that you’ll find, with excellent picnic and grilling facilities. Visit this beach to enjoy an afternoon barbecue with your family while taking in the scenery!